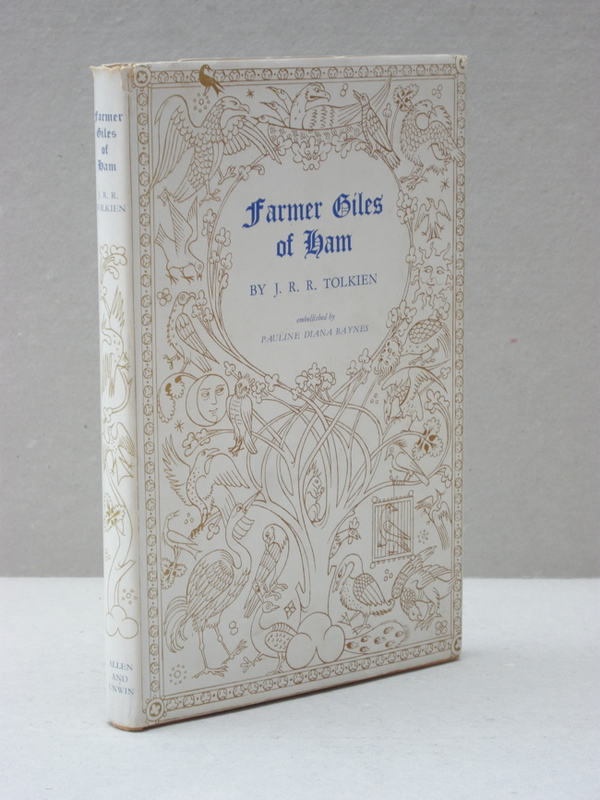 #CLP0033 - 1949 Farmer Giles of Ham, by J.R.R. 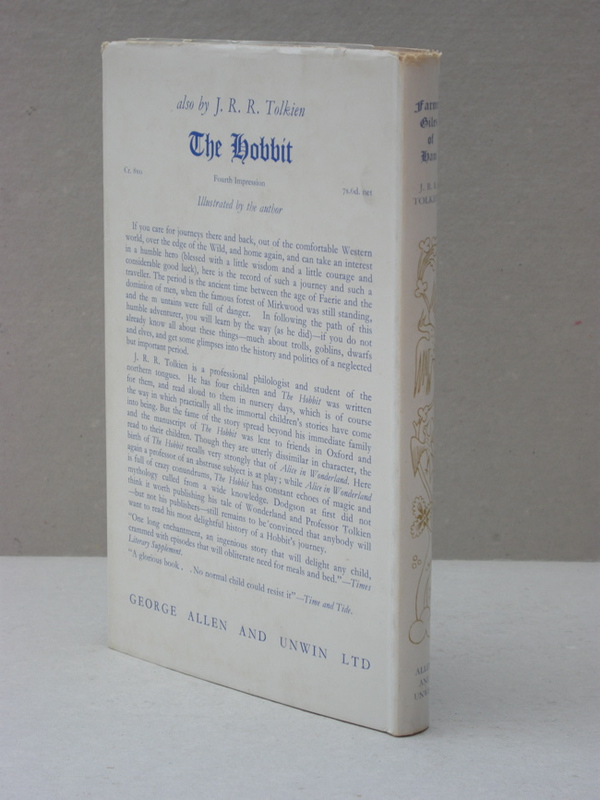 Tolkien – Near Fine / Near Fine First Edition First Impression . - € 950,- Originally published in 1949, this is the 1st impression of the 1st Edition. A Near Fine book, with original dustjacket in Near Fine condition as well. Originally published in 1949, this is the 1st impression of the 1st Edition. A Near Fine book, with original dustjacket in Near Fine condition as well. Farmer Giles of Ham, The Rise and Wonderful Adventures of Farmer Giles, Lord of Tame, Count of Worminghall and King of the Little Kingdom, by J.R.R. Tolkien. This is his second major published work, preceded by the Hobbit. Textblock is clean and tight, without any foxing. Dustjacket shows no sunning to the spine (which is usually the case), and is not price clipped. No loss to the edges, showing no rubbing. No names or writing, clean and bright. Two color plates by Pauline Baynes, as well as being illustrated on almost every page with her line drawings. Only flaw is some minor rubbing at the dust jacket to the top of the spine and the top right corner. Otherwise perfect condition.